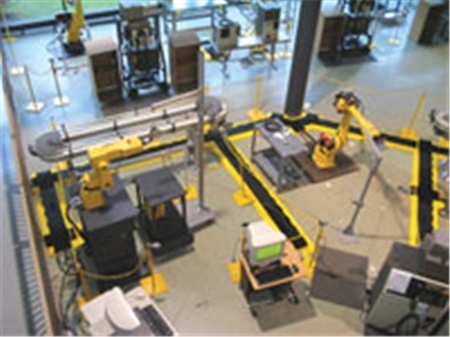 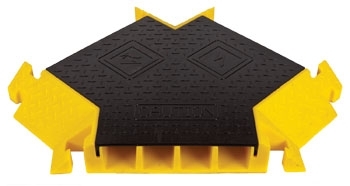 The non-skid safety surface of the Bumble Bee GM cable protector is perfect for utilization within high trafficked areas, such as manufacturing plants, where there is also a need to protect your expensive cords and cable investments. 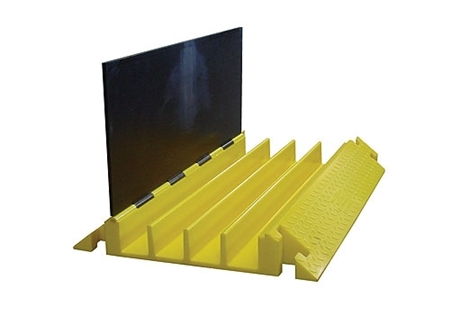 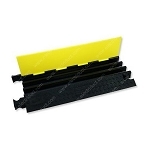 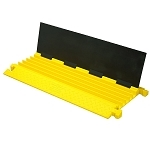 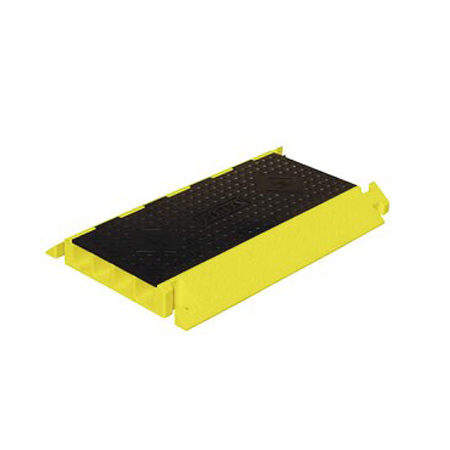 More impressively, the Bumble Bee Heavy Duty GM cable ramp can support up to 20,200lbs. 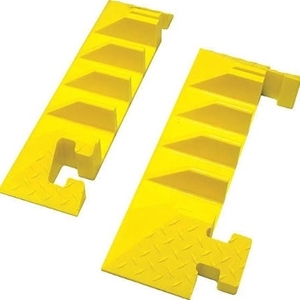 per axle. 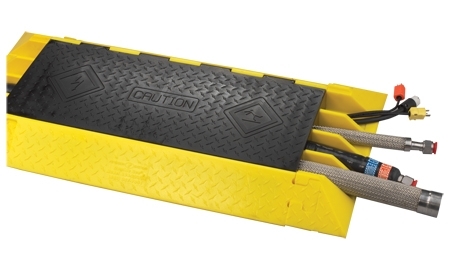 Each Bumble Bee GM cord cover has 4 channels with 3" widths to accommodate your larger cables and the "X"(90° angle) and "Y"(45° angle) accessories allow you to conveniently configure your cords to your specific floor layouts.